Brisbane's best cafes with play areas. Entertaining little ones while eating out can be a challenge, however not when there is a play area to keep them occupied & happy. Little Eats is always keeping an eye on out for new cafes with combined play areas and here are our top in Brisbane. 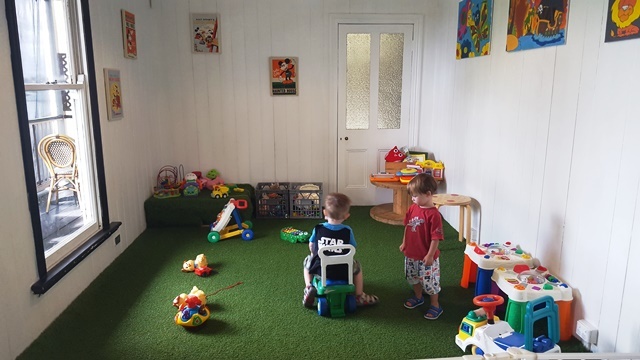 For those with littlies that can’t sit still, Willow and Spoon offers a large grassed garden where parents can sip their coffee undercover whilst watching them gleefully rifle through toy boxes full of trucks, superhero’s, dolls and more. The kid’s menus are cutely presented on the inside of children’s story books which also keeps them amused whilst back at the table. A soft-play center with disco dancing, and a fabulous cafe with a passion for healthy food. Tiddlywinks is a chance for you to relax with coffee and cake, while the kids run and place to their hearts content. Crayon friendly kids menu’s and super friendly staff make this cafe a relaxed and welcoming visit. 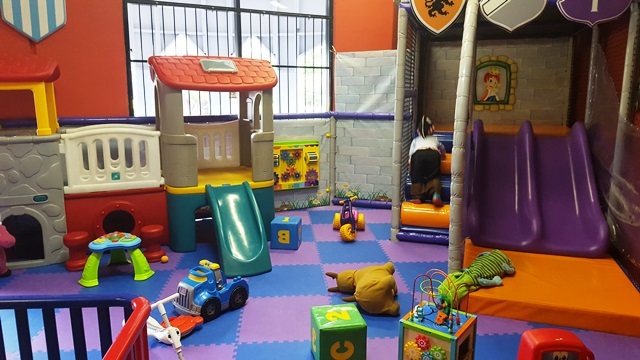 A small dedicated play area on the first floor also creates an ideal coffee meet up for parents with young toddlers. 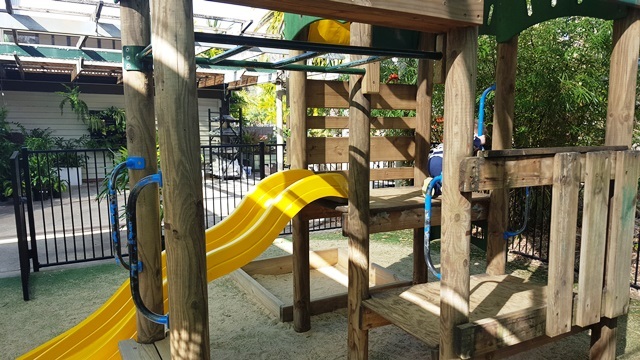 Not only is there a stunning view from the back deck and a gated stress free play corner the menu has the whole family covered. This cafe earns a well-deserved 5 milkshakes. This is one cafe we have visited 5+ times and have never been disappointed. The staff are always friendly and on point even with the thoughtful kid friendly way the deliver the coffee (out of the reach of little grabby hands). 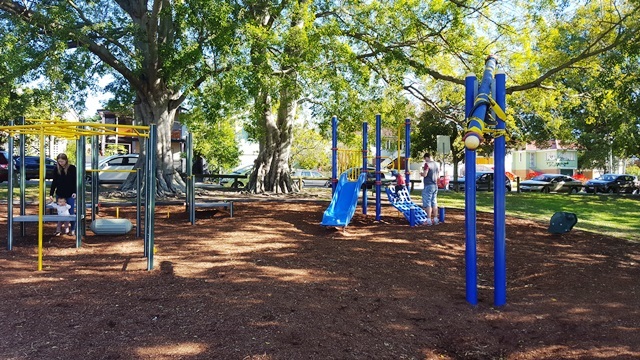 Overlooking the Annerley Soccer Fields and placed smack bang next to a fabulous park for the kids. Monkey Bar Cafe really does have the perfect location for a relaxed eating out experience with kiddies. 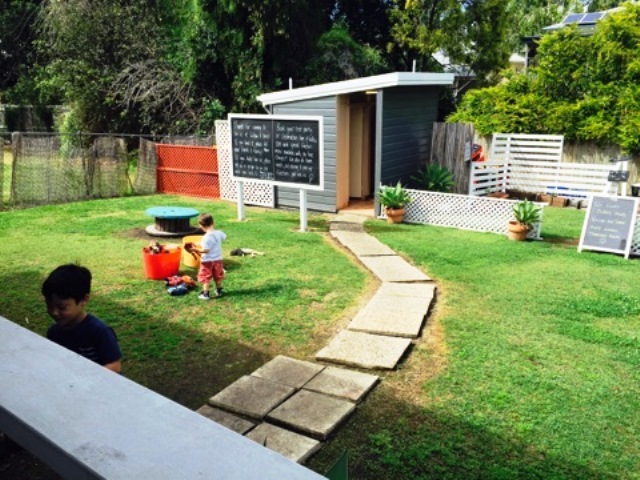 This nursery garden centre opens it cafe doors to kids with a fenced play fort, sandpit & slippery slide. 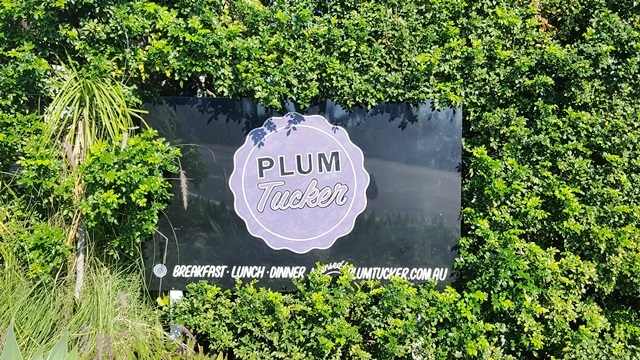 This Cafe has easy parking and a very relaxed atmosphere perfect for eating out with kids. This cafe is situated in the Eden Garden Centre and as so the cafe is surrounded by greenery and pond. The pond itself is a source of entertainment for kids as it brings out the water lizards and birds which kept the kids thoroughly entertained.